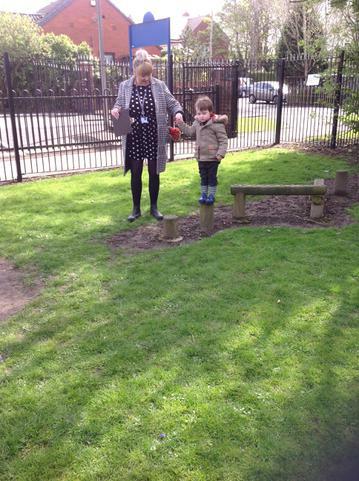 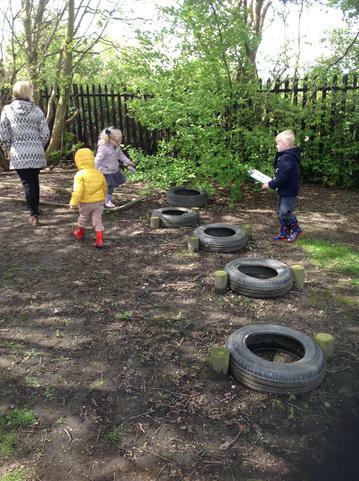 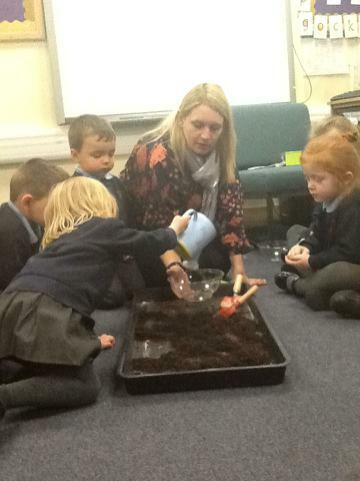 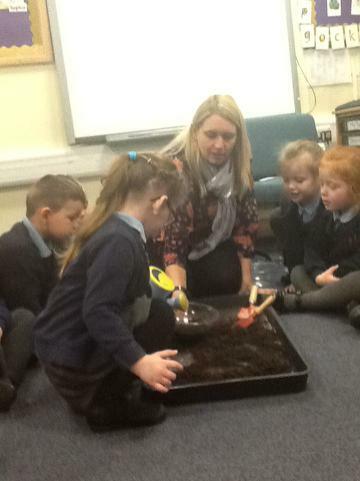 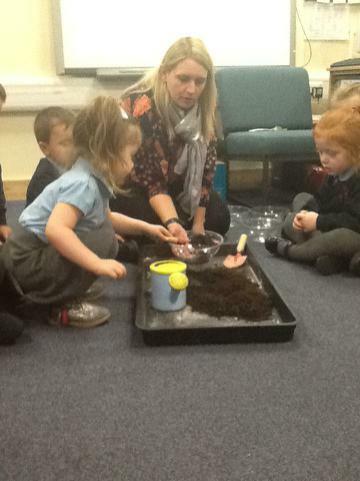 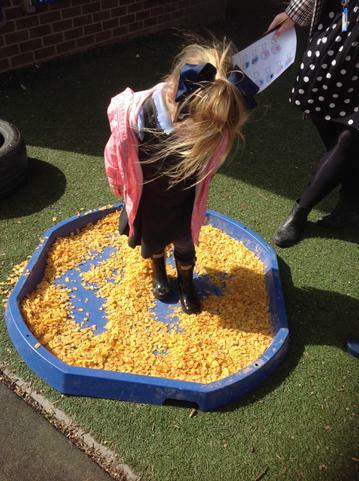 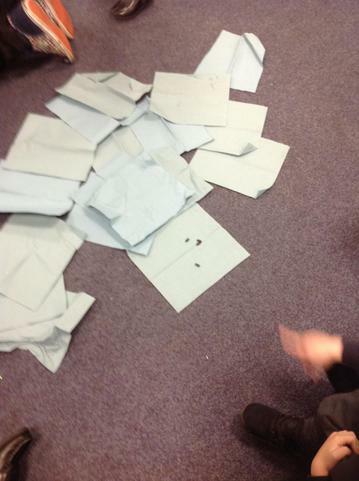 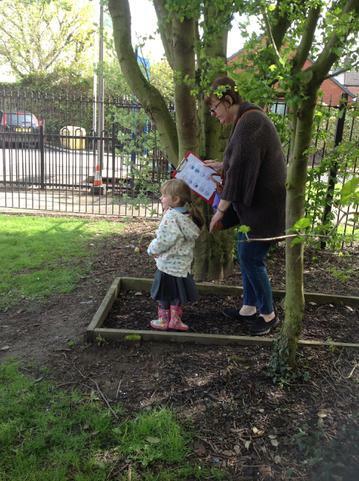 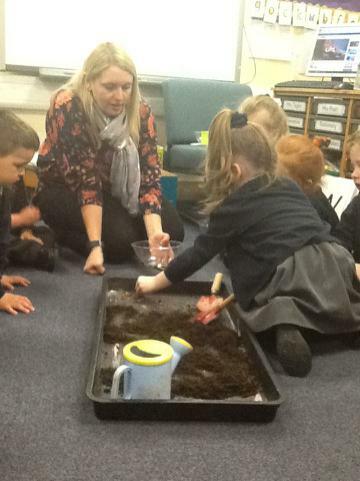 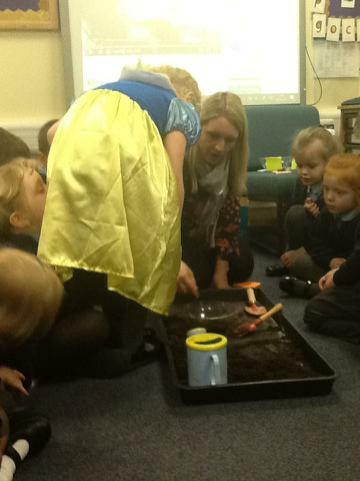 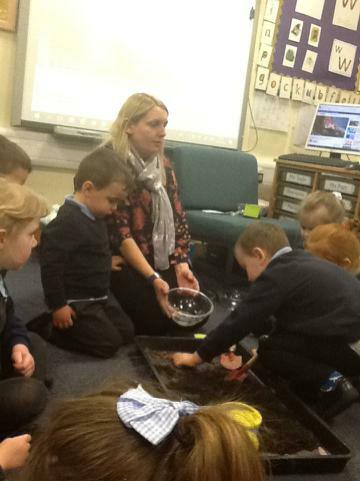 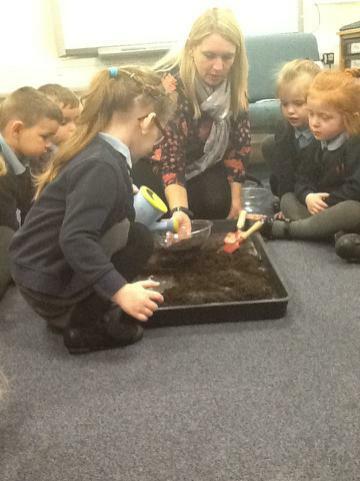 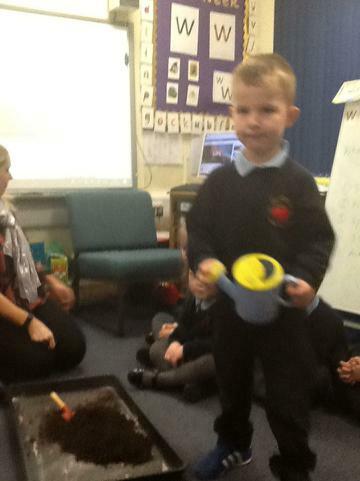 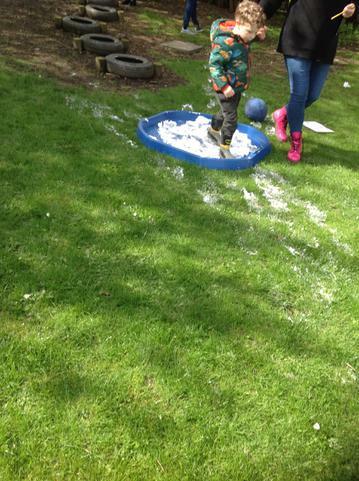 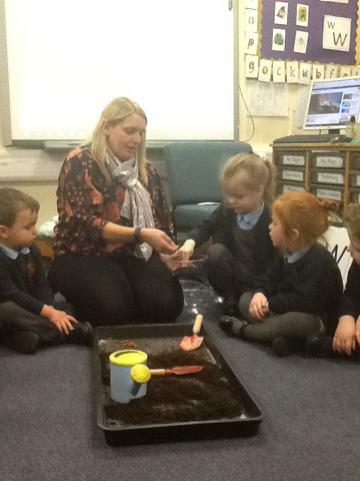 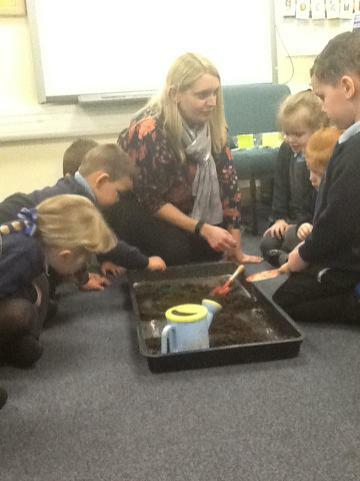 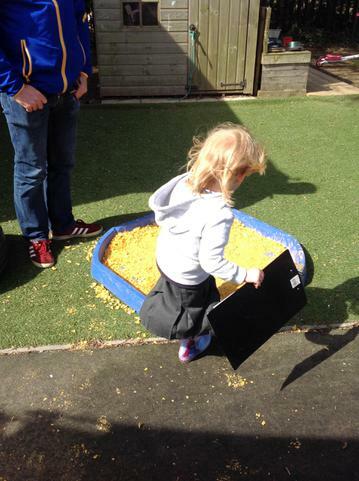 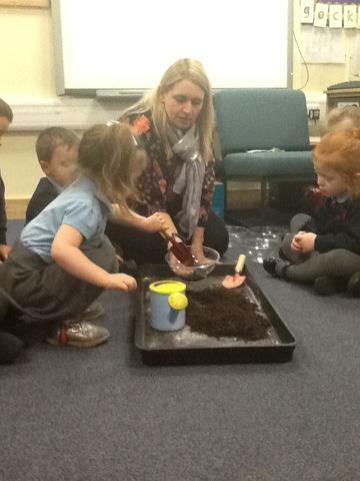 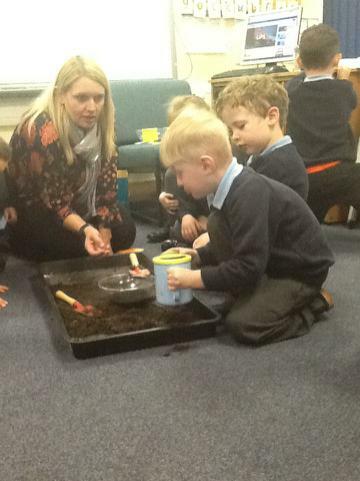 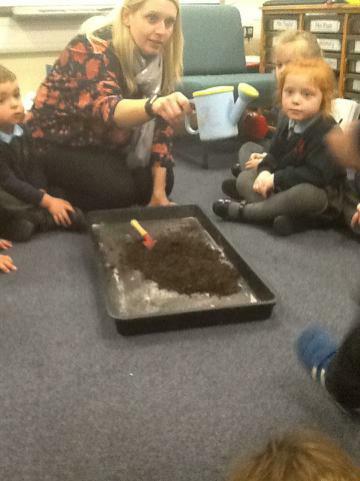 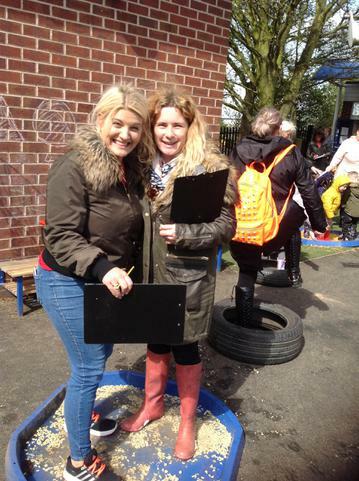 After reading 'Jack and the Beanstalk' we decided to plant our own bean seeds to see how they grow. 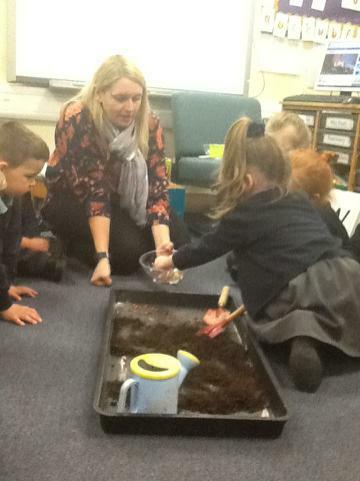 Before we did, we talked about what plants need to grow- sunlight, air, soil for food, space and water. 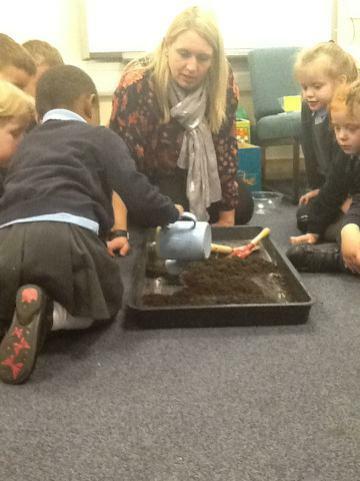 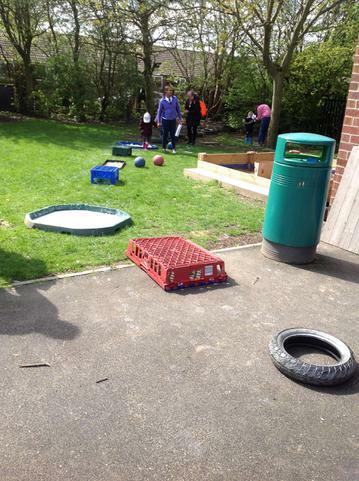 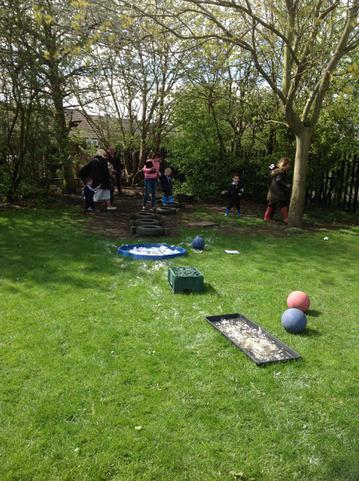 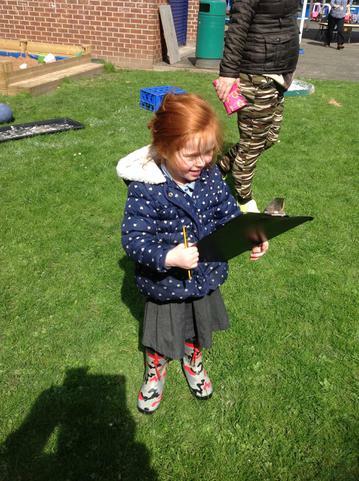 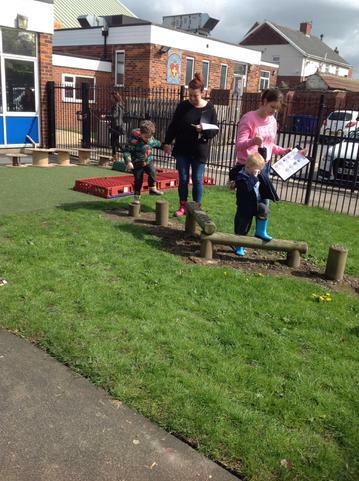 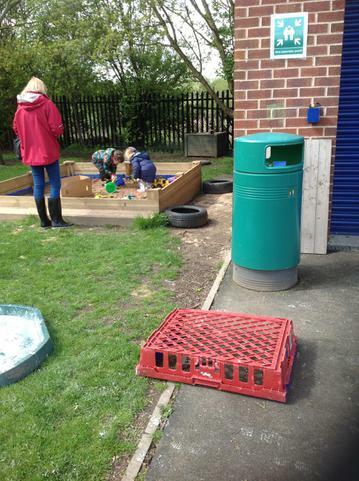 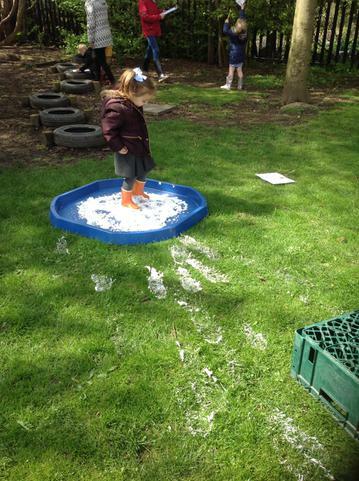 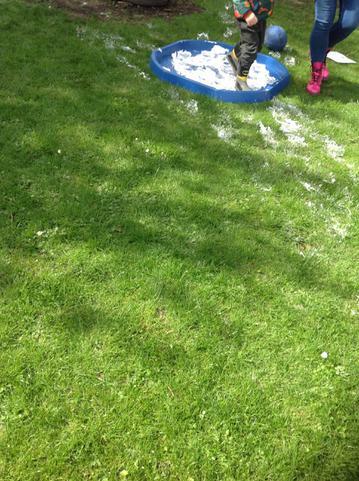 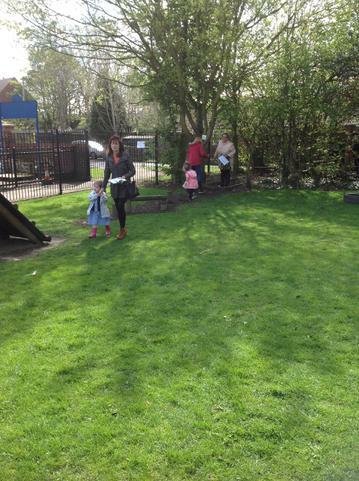 We then decided to carry out our own experiment to test if plants really do need these five things. 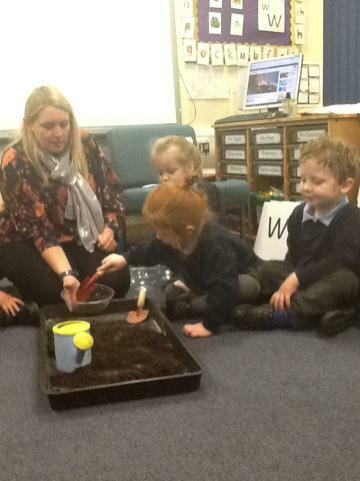 To do this we planted five different beans in five different conditions- one that had all five elements, one with no space, one with no water, one with no soil and one with no sunlight. 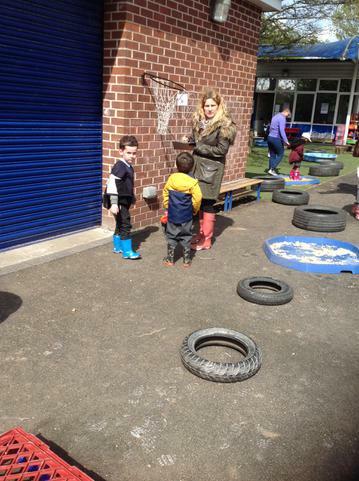 We will keep a check on them and see what happens. 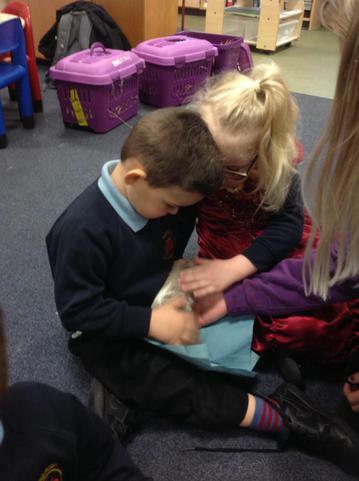 We want to say a huge thank you for all of the money raised for Save the Children so far through sponsoring and buying raffle tickets. 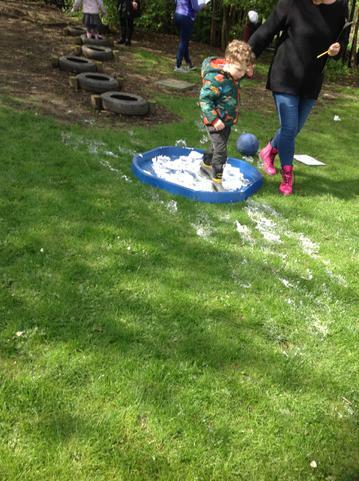 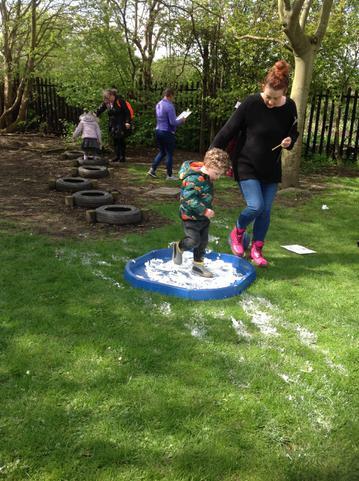 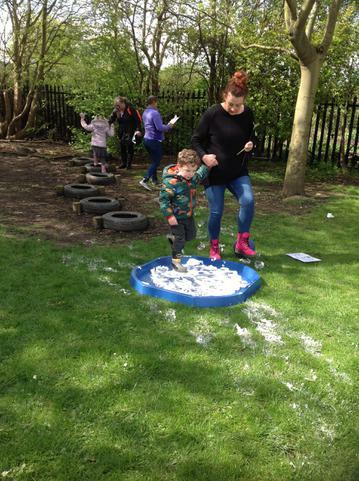 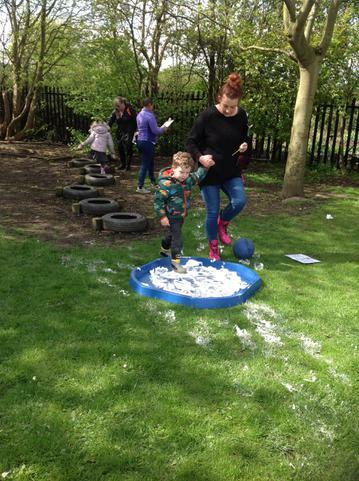 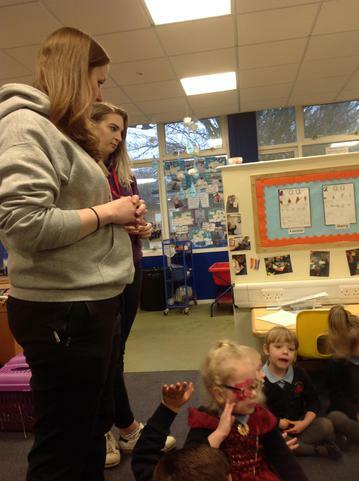 Sponsor forms and money don't have to be returned to school until June 25th at the latest, so please keep raising as much money as you can for this very worthy cause. 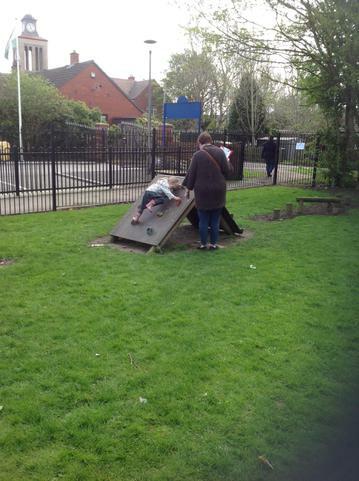 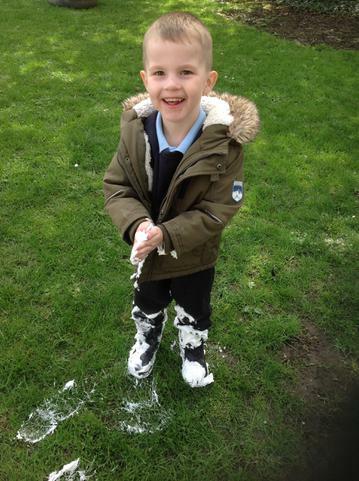 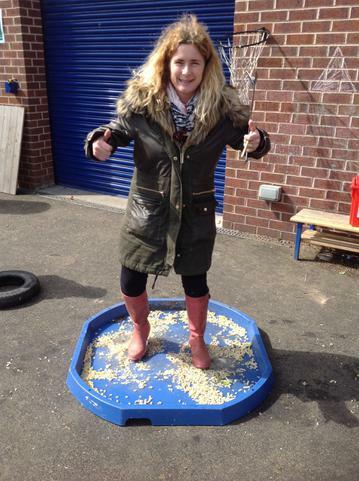 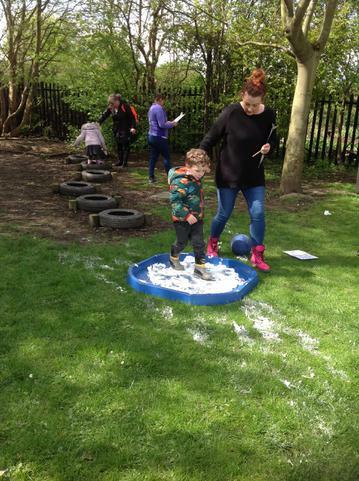 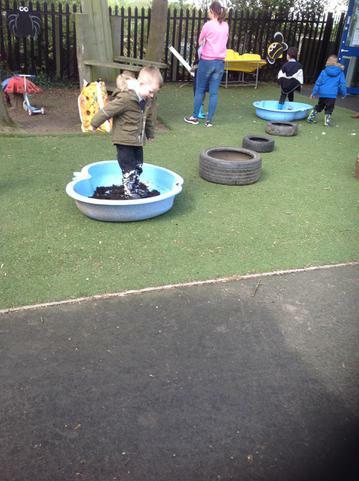 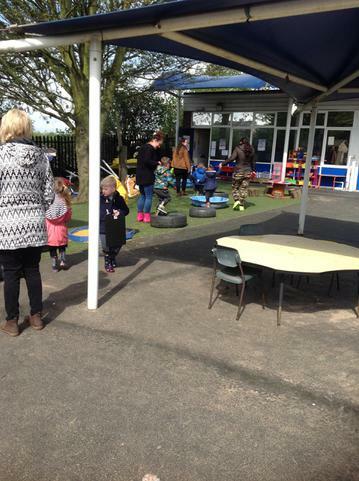 Welcome back after the Easter holidays! 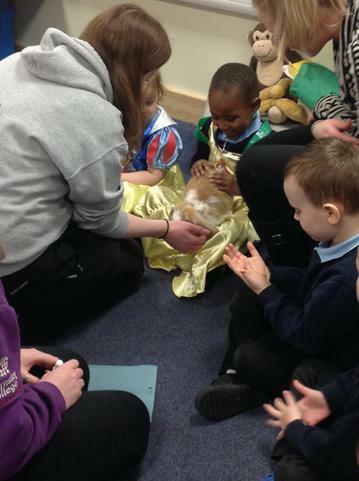 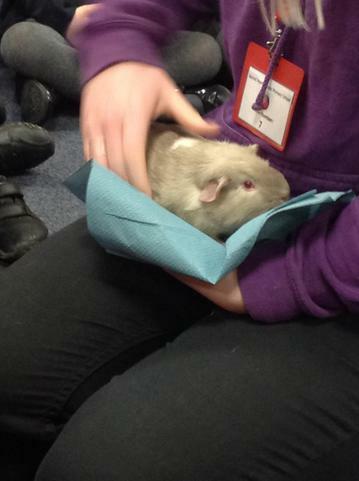 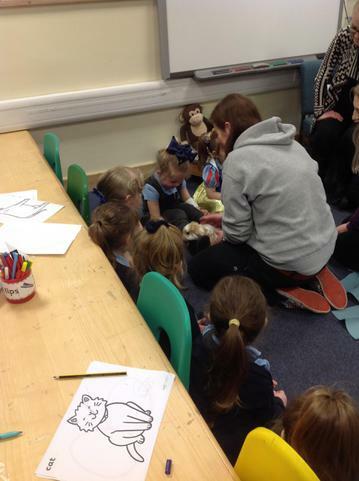 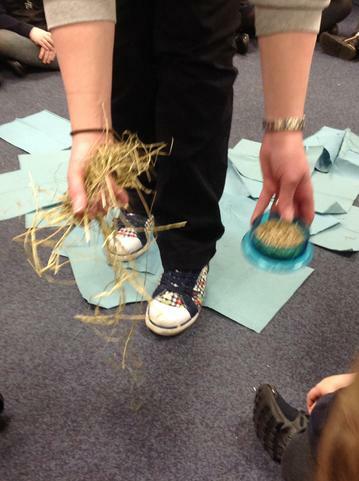 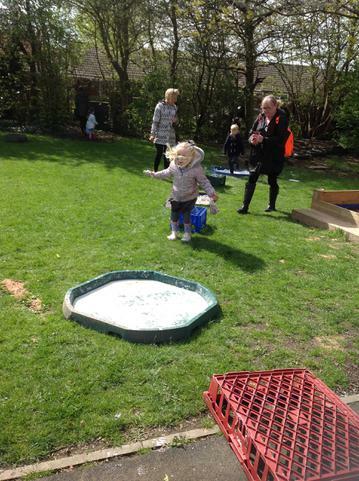 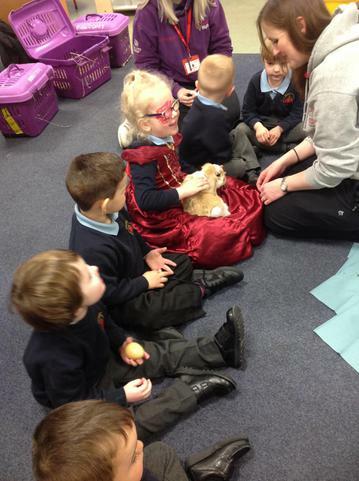 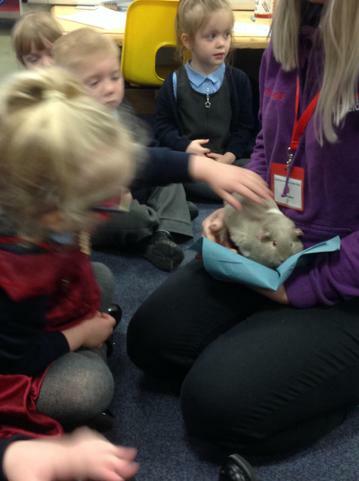 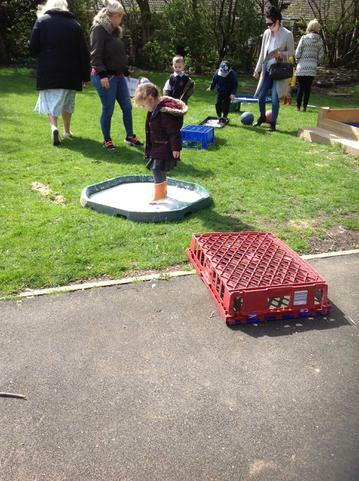 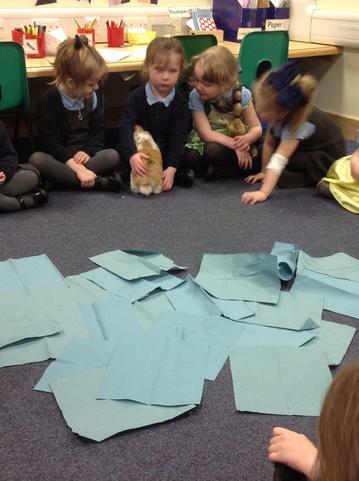 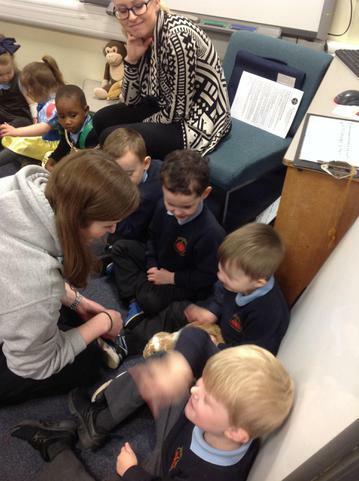 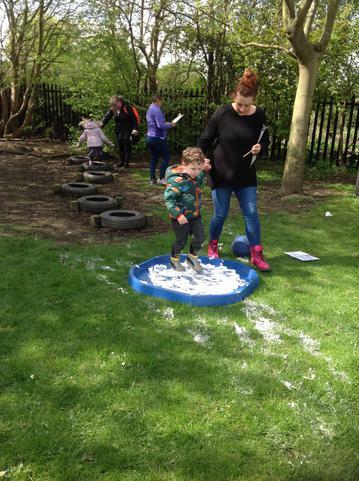 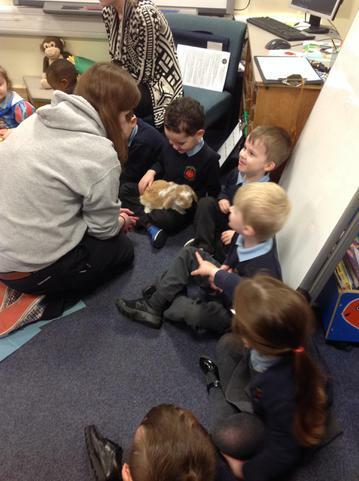 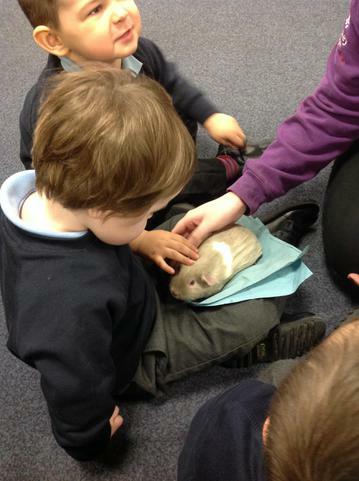 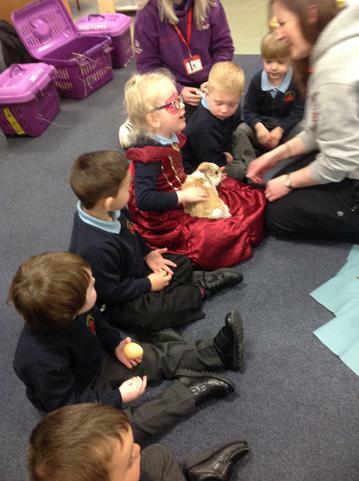 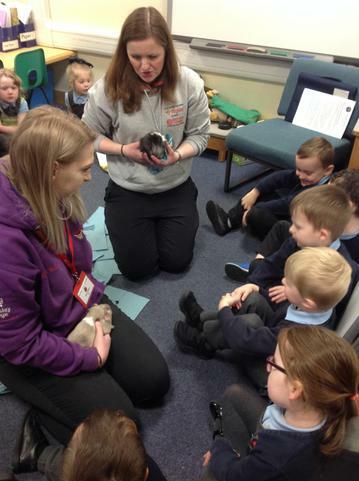 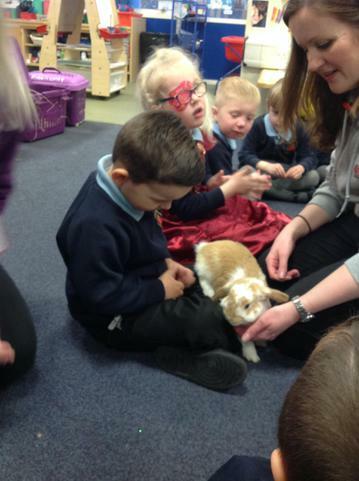 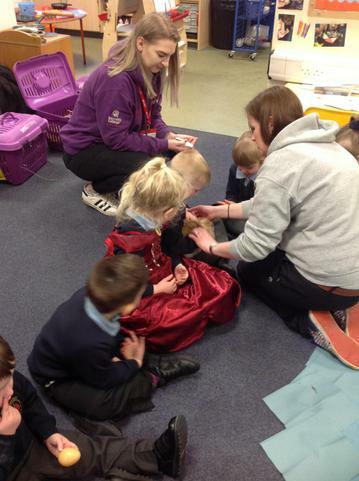 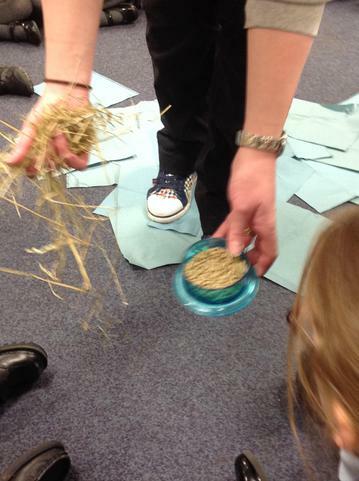 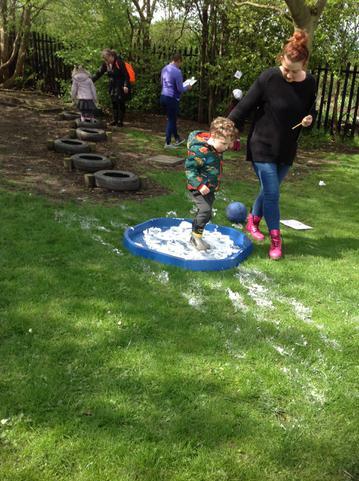 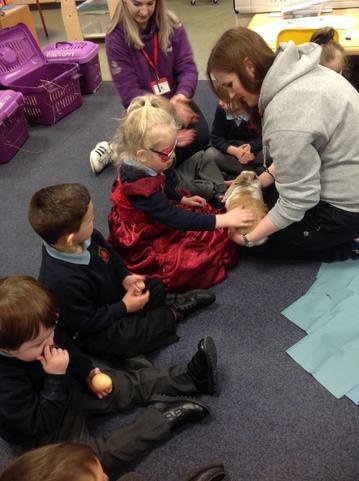 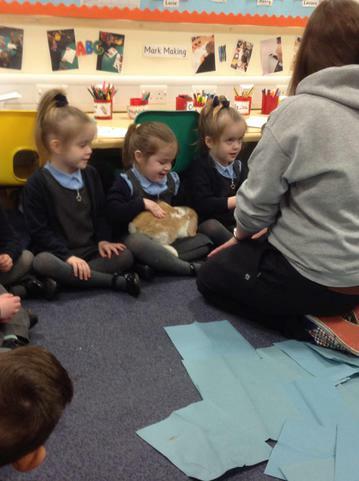 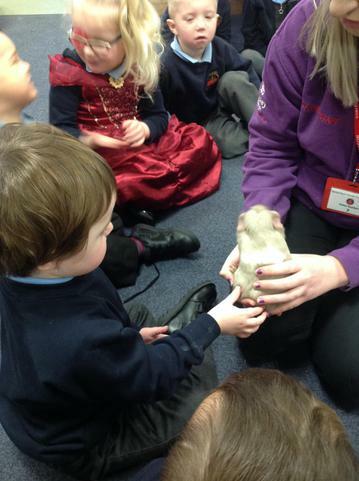 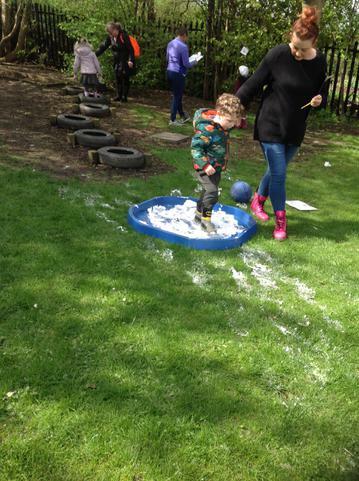 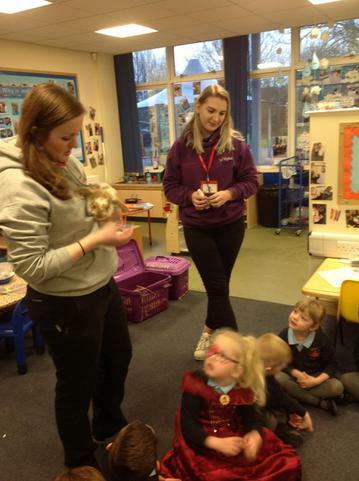 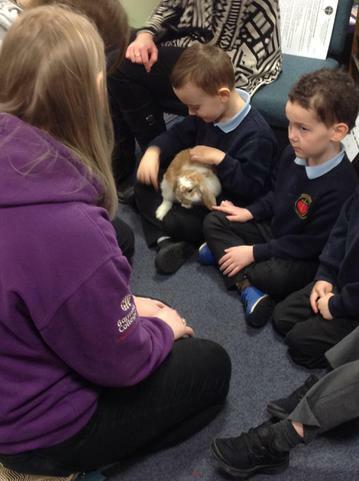 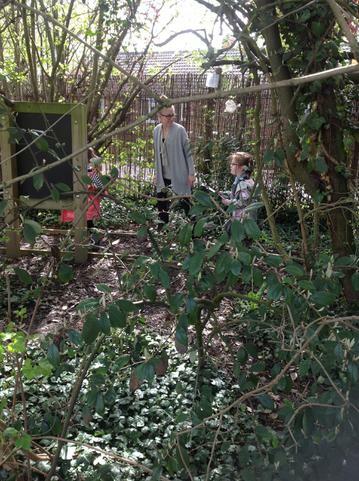 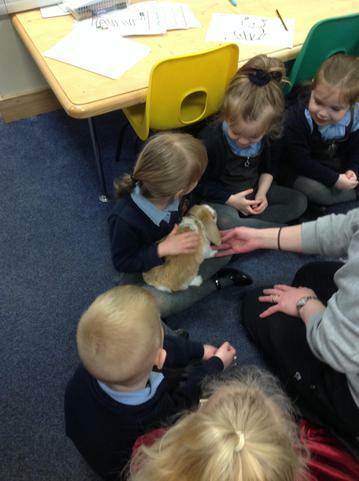 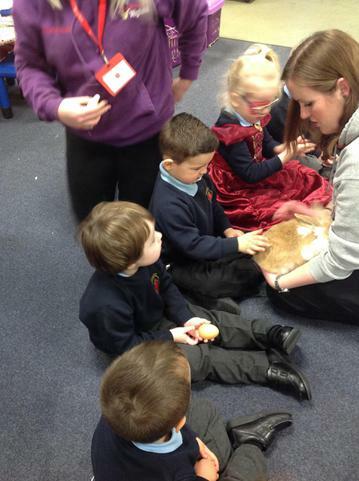 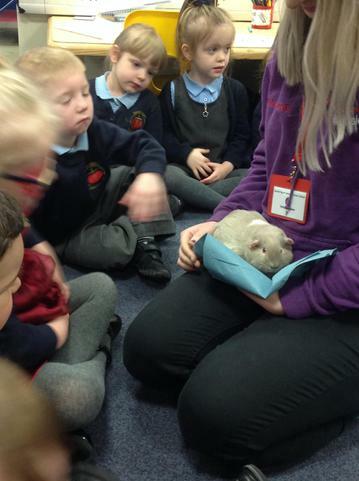 As a lovely way to begin the new term, as well as our new Spring based topic, we had some very special visitors on Tuesday- Caramel and Badger the guinea pigs, and Storm and Crumble the rabbits. 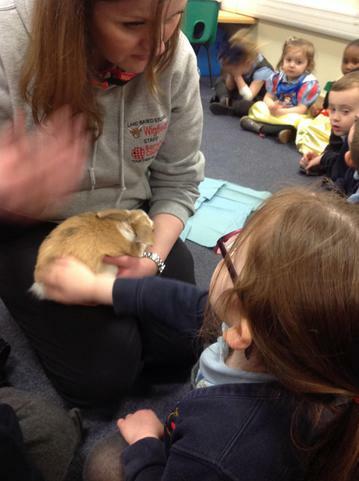 The were so friendly and very cute, letting us stroke them carefully and even sitting on our knees! 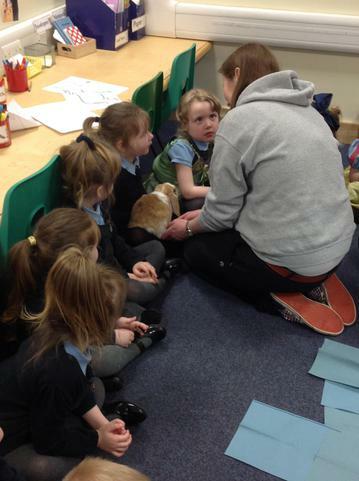 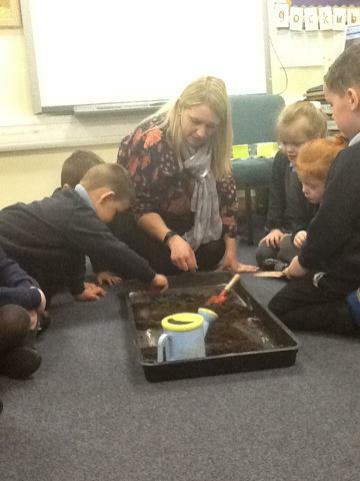 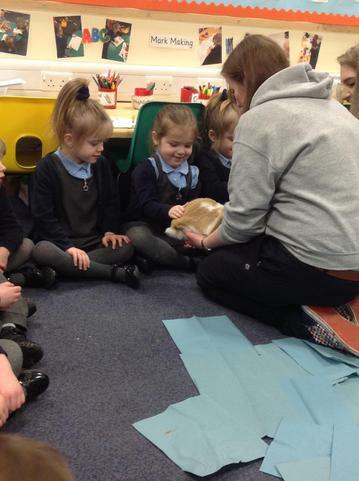 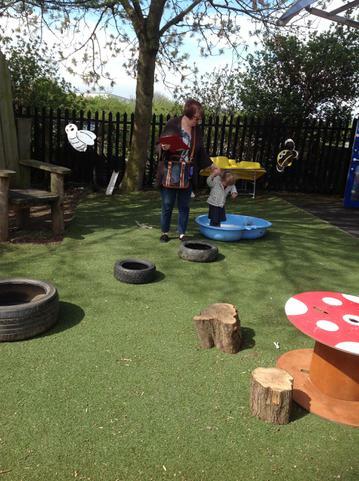 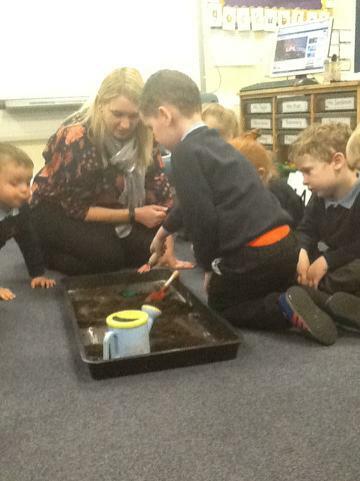 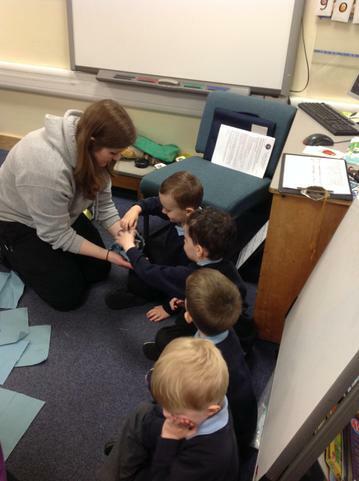 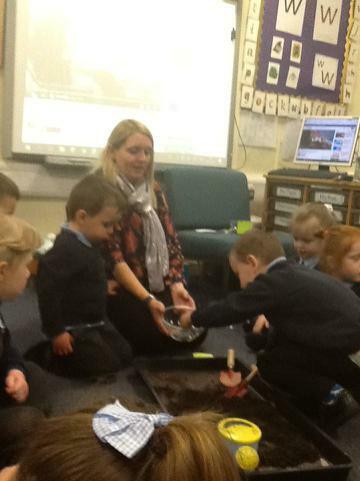 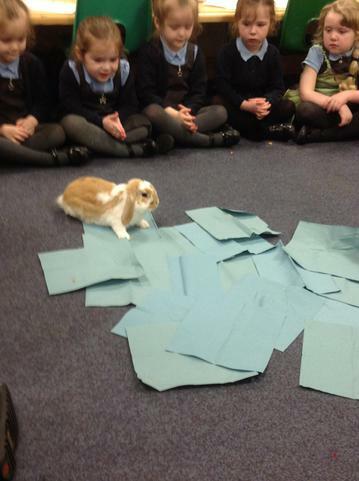 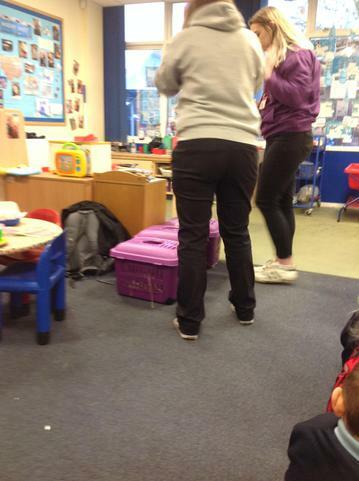 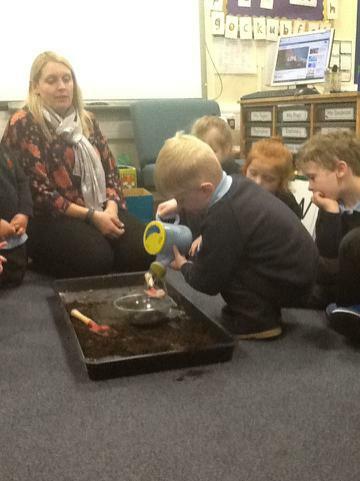 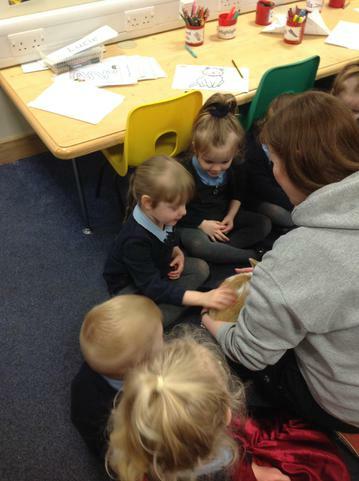 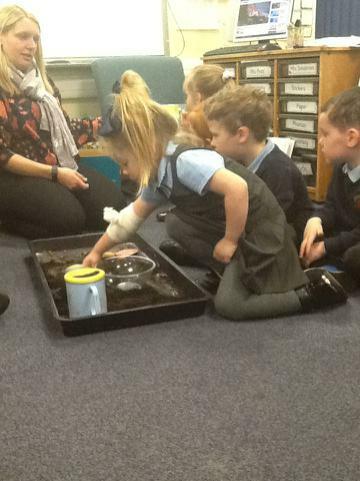 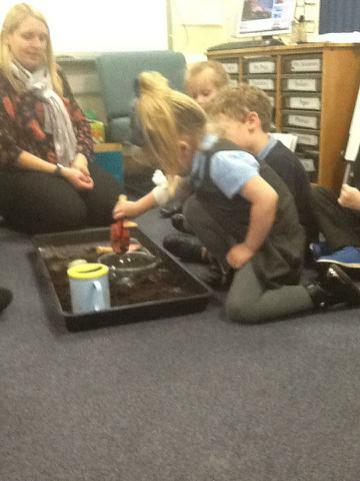 They very much enjoyed exploring the classroom- Badger nearly got stuck under a desk!